I’m excited to share this latest update to my course, Mastering the SharePoint Framework for developers. Today’s update, packaged as sprint 13, includes two new chapters and a few updates… and it’s a huge release… the biggest yet adding over 3 hours of new content! To celebrate this milestone, we are offering $50 off the price of the Fundamentals or Ultimate Bundle for the next two weeks. Use the code FUNDAMENTALSISDONE to save $50 today… this offer expires at 11:59pm on Friday, February 22, 2019 EST so don’t delay! 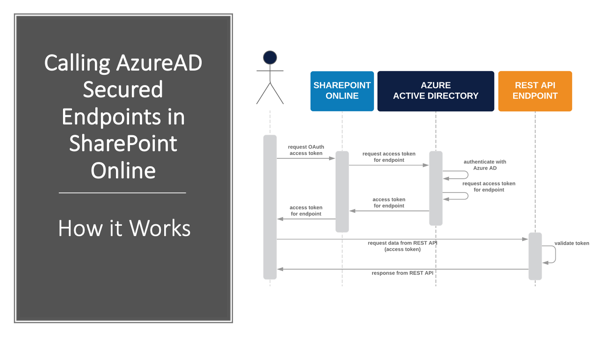 While SPFx already had an API that we could use to call open REST APIs, the HttpClient, it wasn’t terribly easy or possible to call Azure AD secured endpoints. In SPFx v1.6.0, Microsoft introduced a new API, AadHttpClient, that you use with the new server-side infrastructure to call Azure AD secured REST APIs. This chapter is huge… over 2 hours & 17 minutes long with loads of demos! The chapter then moves onto the topic of REST APIs that are secured with Azure AD. I explain how you call these services from server-side code, such as .NET Framework, ASP.NET, .NET Core or Node.js to name a few. 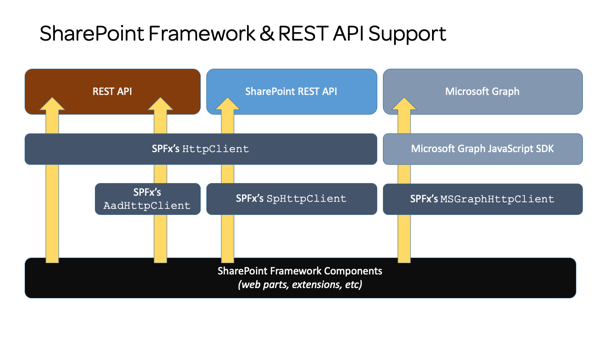 It’s important to understand how this works so you can understand the challenge when working with client-side solutions like SPFx. The Mastering the SharePoint Framework Fundamentals Bundle is now content complete! To celebrate this milestone, we are offering $50 off the price of the Fundamentals or Ultimate Bundle for the next two weeks. Use the code FUNDAMENTALSISDONE to save $50 today… this offer expires at 11:59pm on Friday, February 22, 2019 EST so don’t delay! So what’s next? I’m pushing ahead with the Ultimate Bundle. At the start of the year, I planned out the first half of 2019 with the goal of reaching content complete on the Ultimate bundle ASAP. Want to learn more? Well, you need to tune into the Facebook Live Sprint 13 GO LIVE! next Monday, February 11, 2019 at 1p EST where I’ll explain the plans & answer any questions you have.